Through R&D we continuously develop new patented LED solutions and are recognized as leaders in the industry. All LUXX lighting fixtures are made using the latest LED technology with energy savings in mind. For our LED products, we utilize the industry standard scientific binning process to provide you with the highest CRI and R values possible and the most desirable color temperatures available. For the perfect presentation of different types of food, specially selected light colors are necessary. 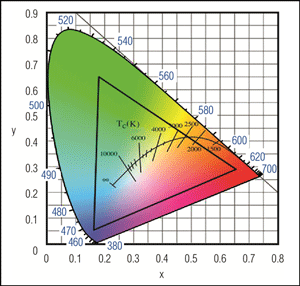 Not only does color temperature play an important role, color temperature values, rendering and locations need to be optimized to successfully ensure high-quality lighting for different types of fresh products. Nearly all of our products are available in these special light colors for meat, cheese, bread, fish, fruits and vegetables. Through our own R&D department our design engineers are able to realize individual profiles and solutions for a variety of applications. We offer customized solutions for any application including food lighting, high-quality retail displays, or trade show exhibits. We offer a turn-key solution to include end-caps, mounting clips, and a strain relief among other options. We use our own tooling, this guarantees a consistent quality for our profiles every time. Our Light Guide Panels incorporate a proprietary process and pattern using the highest quality cast acrylic to disperses light particles providing the brightest, most evenly distributed illumination and is recognized as the world’s leading light panel technology. To achieve our high-quality results, we develop our panels using a high-end laser.